SynthDrum Pads 100% synthesized signal path, Virtual Analog Drum Synthesiser, with 64 step sequencer, Audiobus and Inter-app audio. The step sequencer has been extended to 64 steps. Audiobus 3 suport has been added. Amplitude modulation for pads 1 and 2 opens vast opportunities for making metallic sounds. EQ on each drum makes it that much easier to reach the sound you want. A 4-pole low-pass filter and soft-clipper have been added before the master output along with the original delay. A new mixer with pan control. Now you can save more. Up to 99 save slots can now be used. A new GUI overhaul makes it easier to navigate multiple bars and effects. together with the freedom of a live band. the tempo and the rest will follow. apps on the same device. SynthDrum Pads has an audio engine and clean interface that makes it a breeze to make the drum sounds you want; weather it be classic 80s transistor drum sounds, warm bass and ambient tones or modern percussive elements for modern EDM, Electronica and Dance. Whether you’re looking for a chilled out feel to soothe, or a big fat bass to really turn heads SynthDrum Pads is exactly the addition you need to your audio arsenal to provide you with the variety of mood and texture you want, giving you an awestruck audience every time. Sculpt the sound you want with VA tone generators, LFOs and EG. Perform on 4 pads or compose on the 64 step sequencer. 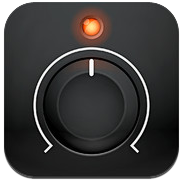 A ‘one knob per parameter’ makes it easy to quickly tweak your sounds during live sets. SynthDrum incorporates Audiobus 3 support, allowing audio connection and recording to 100s of great music apps including GarageBand. 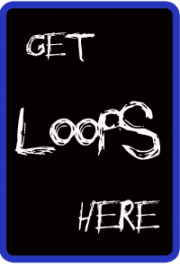 Download it today and add some synthesised percussion to you music.